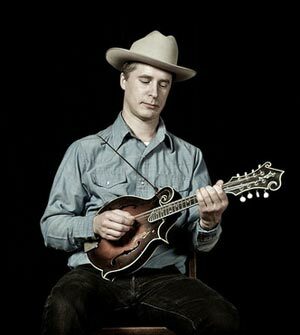 Caleb Klauder has been playing guitar and mandolin in the traditional styles of bluegrass and old time for over 20 years and performs with the Foghorn Stringband. Caleb also fronts his own honky tonk country band, and you can also hear him in a duo with Reeb Willms. Caleb’s mandolin style most closely resembles old time fiddle playing in a way similar to Bill Monroe’s style. The shuffle of the pick and good left hand technique lend to a clear old time bluegrass sound. Being a fiddler, singer, and guitar player, as well as a mandolinist, Caleb has a well rounded sense of traditional music, both classic Bluegrass and old time fiddle music. As a teacher Caleb puts focus on the importance of melody and rhythm.